Tiff Splitter Pro splits multi-page invoices the way you need. You can split TIFF files by date, invoice number, address or any other symbol. Enter the text that should start a new file. TiffSplitterPro searches the document and creates a new file every time it finds this text. It seems simple but there is a complicated technology behind. 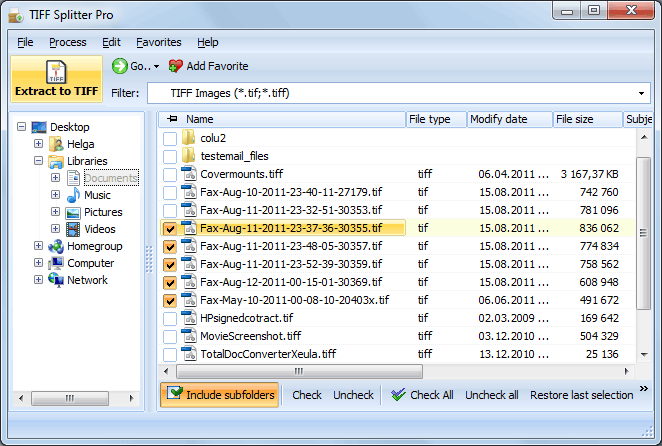 While most TIFF slitters just split TIFF files by pages, Tiff Splitter Pro extracts the exact info you need. Project Timer, a project timer for the Windows taskbar notification area. Project Timer is a simple but powerful windows application in the taskbar notification area to manage how much time you`ve spend on your projects.